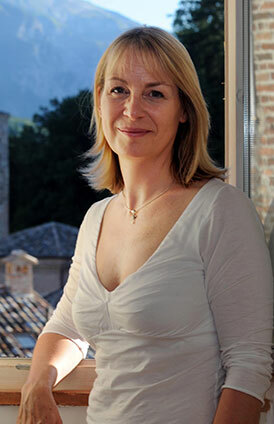 Christine Toomey is an award-winning journalist and author who covered foreign affairs for The Sunday Times for more than twenty years. Reporting extensively from Latin America, the Middle East and throughout Europe much of her work has focussed on lengthy, in-depth reportage, but also includes interviews, comment and travel writing. Assignments include investigations into the sinking of Russia’s Kursk nuclear submarine, the mass murder of women in Guatemala, a U.S. military academy teaching torture techniques in Georgia, girls illegally imprisoned in the UK and reports from Kosovo and Bosnia on the fate of children born to women raped during the Balkans wars. She has also tracked down a wanted Nazi war criminal to the Argentine Andes, interviewed General Manuel Noriega in prison in Miami, reported on oil companies desecrating land belonging to un-contacted tribes in the Amazon and lived for a week with the two wives of a polygamous Hamas politician in the West Bank. Christine’s work has been short-listed for various awards, twice winning Amnesty International’s Magazine Story of the Year in 2002 and 2006. Christine’s book The Saffron Road: A Journey with Buddha’s Daughters, published by Portobello Books June 2015, is the story of an unforgettable journey – a 2-year, 60,000-mile global odyssey in the company of the extraordinary women who choose to dedicate their lives to Buddhism. Educated at Oxford University and speaking five languages, Christine’s work has been syndicated globally, including to diverse publications such as Spain’s El Pais, El Mundo and XLSemanal, Italy’s La Repubblica and Internazionale magazine, Germany’s Die Welt, Norway’s Henne magazine, Canada’s Globe and Mail, The Australian and The Sydney Morning Herald, The U.S. Edition of Marie Claire, Brazil’s O Globo, Argentina’s La Nacion, Japanese GQ, Polish Newsweek. 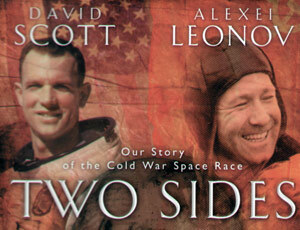 In 2004 Christine co-authored the book Two Sides of the Moon with American astronaut David Scott, Commander of Apollo 15, and Russian cosmonaut Alexei Leonov. Published first in the UK then the US, Germany and Japan, Two Sides of the Moon was selected for dramatisation and serialisation as BBC Radio 4’s Book of the Week. She has been a guest on Radio 4’s Woman’s Hour speaking about the presidential elections in Iran and appeared on discussion panels hosted by Amnesty International and London’s City University talking about reporting from conflict zones. Christine lives in London with her daughter Ines, escaping when possible to the long abandoned hill-top home she spent years renovating in Le Marche, Italy.